Alex Church from Sea Wolf described his band's album, Old World Romance, as having a "sense of rediscovering where you're from after being away for awhile." 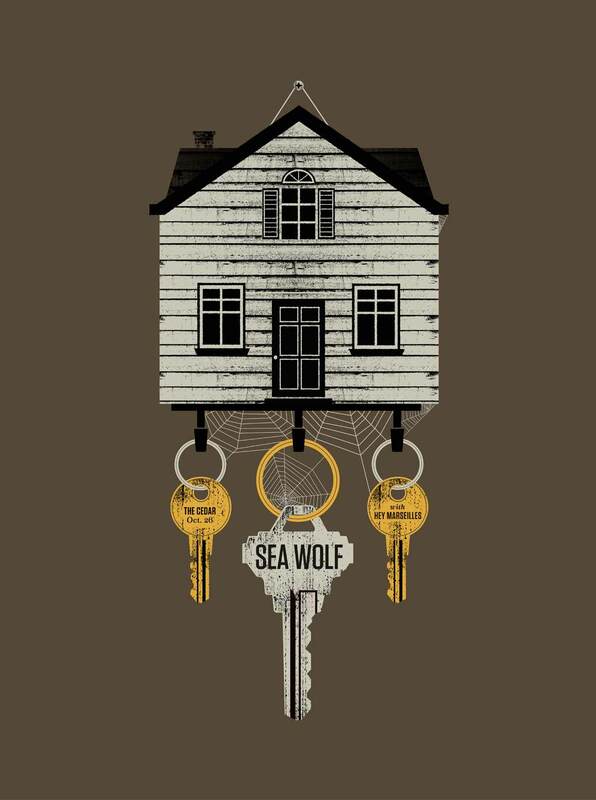 Poster 1: The house-shaped key holder and old dusty keys represent relationships and issues that have been left behind and not attended to in years. It's the idea of returning home, not only to find things as you left them, but being ready to finally confront and address them. 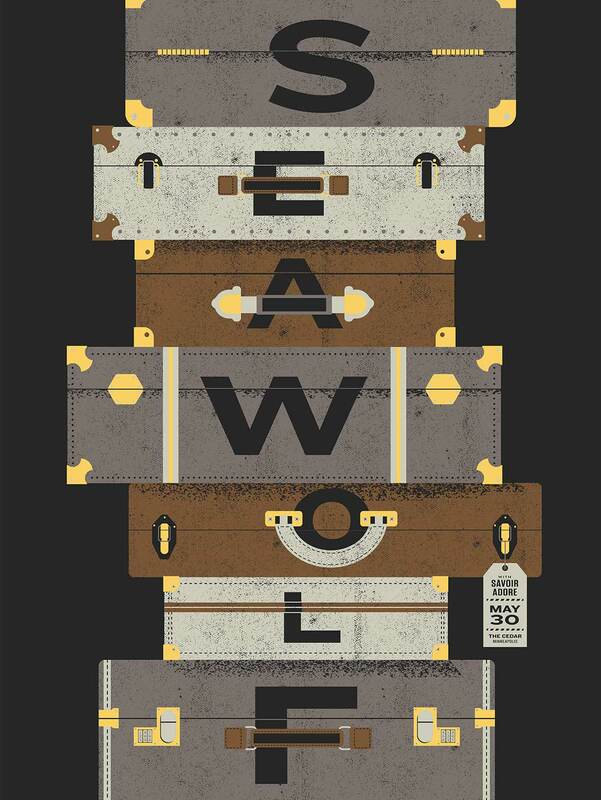 Poster 2: A stack of suitcases touch on the theme of finally coming back home to face all the things you've run away from and all the baggage — both literal and figurative — that comes along with it.